Posted Sunday, Oct 27, 2013 12:55 PM EDT by HAMILTON SPECTATOR & filed under News & Events. A landmark new investigation by the Hamilton Spectator shows that people in poorer parts of Hamilton are dying of cancer at significantly higher rates than people in richer parts of the city. 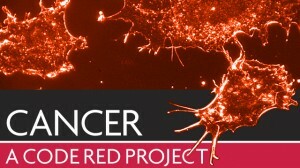 Cancer: A Code Red Project shows that there are serious social and economic disparities in Hamilton when it comes to those people who are getting cancer and those people who are dying of cancer. The reasons for the disparities touch on access to basic health care, the ability and willingness of people to use cancer screening programs, and huge differences in unhealthy behaviours – primarily smoking. The series builds on the groundbreaking 2010 Code Red series that showed the impact of the social determinants of health on Hamilton. Written by STEVE BUIST, with photos by JOHN RENNISON and GARY YOKOYAMA. The Spectator’s Pete Smaluck has developed a cutting-edge interactive map that provides readers with a wide range of options to help sift through the cancer data that was used as the basis for the Code Red: Cancer project. For those just interested in basic information, the maps show cancer incidence and mortality rates, as well as key social and economic data, for each of Hamilton’s 135 census tracts. The maps also show incidence and mortality rates at the neighbourhood level for men and women as well as four specific types of cancer — lung, breast, prostate and colorectal. 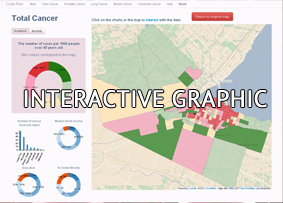 For those who want to explore the data in greater detail, there are filters that show how cancer rates are connected to indicators such as family income, education levels, visible minority levels and how the rates change across parts of the city. There’s also a search function that allows you to match a street address or landmark to its proper census tract. For the interactive cancer map, CLICK HERE.